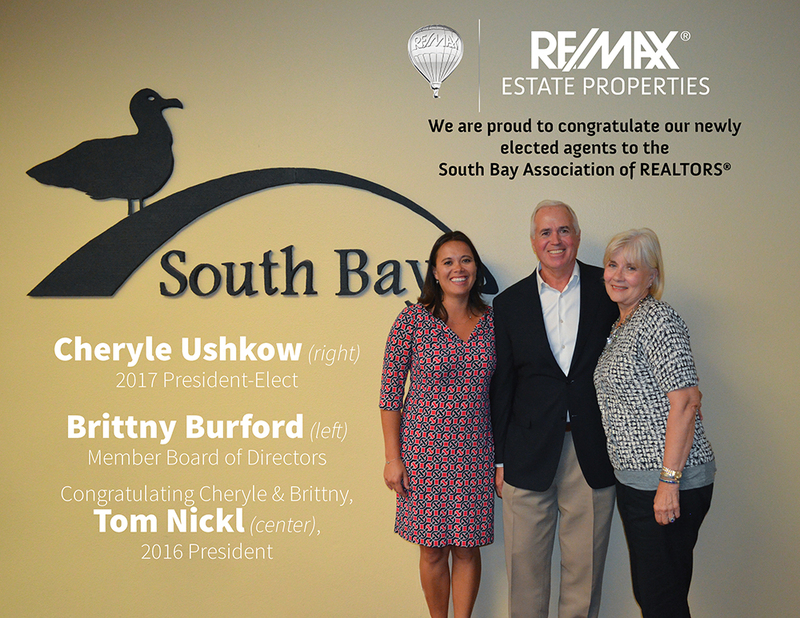 We are incredibly proud of our hard-working agents, but in particular Brittny Burford and Cheryle Ushkow deserve extra praise; Both have been newly elected to the South Bay Association of REALTORS®! Cheryle is your 2017 President Elect and Brittny was named a member to the Board of Directors. This was a very tight race given the fact that so many Realtors are willing to serve our board. All of the candidates were extremely well-qualified and deserving of such titles. The top-notch competition makes Cheryle and Brittny’s victories that much more meaningful. 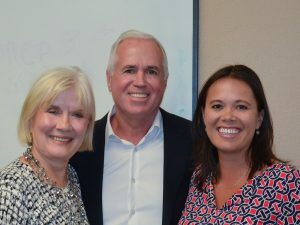 Along with Cheryle and Brittny, we further congratulate Norma Fernandez and Crystal West, Board of Directors Members, on their determination and unparalleled drive. 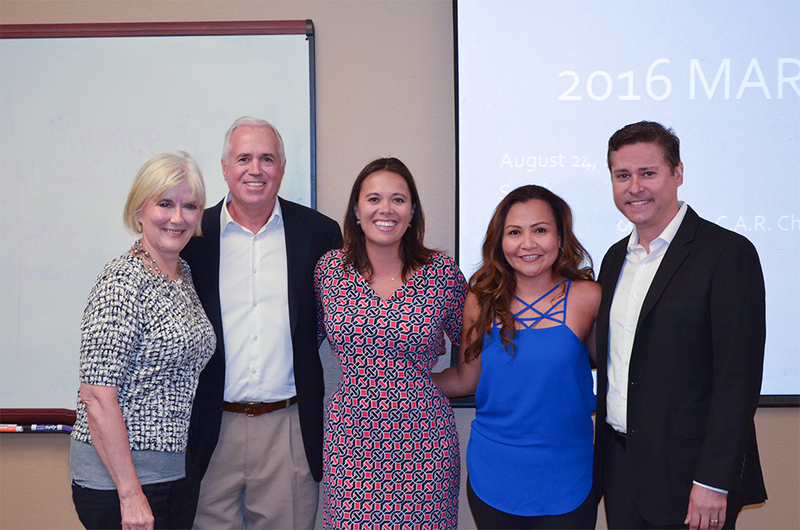 Cheryle Ushkow 2017 President-Elect, Tom Nickl 2016 President, Brittny Burford Member Board of Directors, Norma Fernandez Member Board of Directors, & Rob Morel 2016 President-Elect. Not pictured Crystal West, Member Board of Directors. Brittny & Cheryle are deeply grateful for the support and votes that got them this far. Looking forward to the future, Brittny is motivated to represent your interests and ideas within the Association. With Cheryle’s valuable experience in working with the Association, her goals extend to maintaining and building relationships between the Association, its member services, and its members. We are excited to see what these bright women will to accomplish!